I don’t normally make the focus of a post on a quote alone, but in this case I had to make an exception. For some reason reading this a couple days ago just seemed to resonate with me, as I have been struggling to stay focused in the present, often drifting into future mode. Future mode is a slippery slope and tends to lead to nothing but cycles of envision, want, plan and acquire, followed by another cycle of envision, want, plan and acquire. Oddly enough this reminds me of my job as a Project Manager, anyways it is no way to live your life. Hope you enjoy this quote and take it to heart. Stay in the present my friend. I saw this on Twitter the other day, and thought I would share it with everyone. 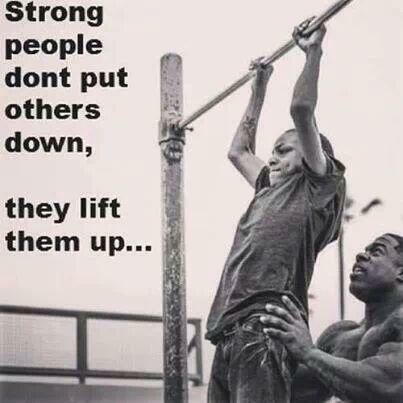 So what will you do today to lift someone up?